Jonathan Fowles is now heading the UK arm of Mediahub as the group moves to a full-service model. When MullenLowe Group hired Jonathan Fowles as its first chief media officer in the UK in September last year, it stressed that it was only considering a media arm. Fowles’ role was to integrate media strategy and thinking into the group. Fast-forward seven months and all that caution has been abandoned. Fowles is now running the UK office of Mediahub, MullenLowe’s US media agency. He has taken Profero’s digital media arm under his wing, creating a "fully hyperbundled online and offline media company". MullenLowe has just won the full-service account for the Fage Greek yoghurt brand Total, with UK media planning and buying handled by Mediahub. Mediahub is an established shop in the US. Together, its offices in Boston, Los Angeles, New York and North Carolina account for 20 per cent of MullenLowe Group’s US revenue. Its arrival in the UK is the latest hint at a full-service model and follows VCCP acquisition of Adconnection at the end of last year. However, Fowles is reluctant to call this a return to full service. "The cliché is that media got five minutes at the end of the presentation," he says. "So it’s not a return to the old-fashioned way but it’s with media at the centre of the consumer journey. It’s modern full service." Fowles believes clients are looking for a clear view on how to target their audience. "Some clients want two different points of view. They want to keep agencies on their toes," he explains. "But, on the whole, one well-thought-out view is better for clients." There are also practical benefits of having media and creative under the same roof. "Being in separate offices does limit your ability to integrate," Fowles continues. "Ideas happen at all times of the day. When you have the eureka moment, you need people to bounce it off." 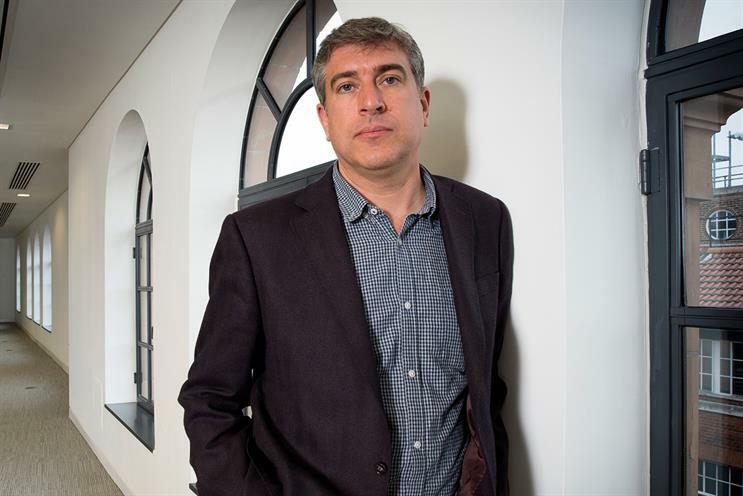 Richard Warren, the UK chief executive of MullenLowe Group, says the 35-strong team is "embedding media thinking into the creative process". "Fowles is very lateral," Warren explains. "He’s always thinking of ideas you may not have thought about, and he understands where media owners come from and why one may be more suitable for a brand to approach." Those who have worked with Fowles agree he offers something special. Ben Kerr, the chief strategy officer at Somethin’ Else, worked with Fowles at Drum and Manning Gottlieb OMD. He suggests Fowles is very good at creating big ideas instead of just pulling together a collection of tactical ones. But not everyone believes creative and media should be so close together. "This is a step too far," Andrew Stephens, a co-founder of Goodstuff Communications, says. "Media and creative need to work together but the agencies need to be separately owned. Sometimes there will be tension, but you get better work that way." Tracy De Groose, the UK chief executive of Dentsu Aegis Network, adds that not all clients are looking for a full-service approach, but they all want additional skills and services such as content and social. But Fowles maintains that the future is in full service, saying that, with the MullenLowe model, "you can really go to town" when it comes to looking at the context and behaviour of a brand. "You can talk to the creatives about it being more persuasive in certain channels and times," he explains. "And that can go into the creative brief and create a bespoke message in that context." Time will tell whether this model will be attractive to bigger and more complex clients than Total.